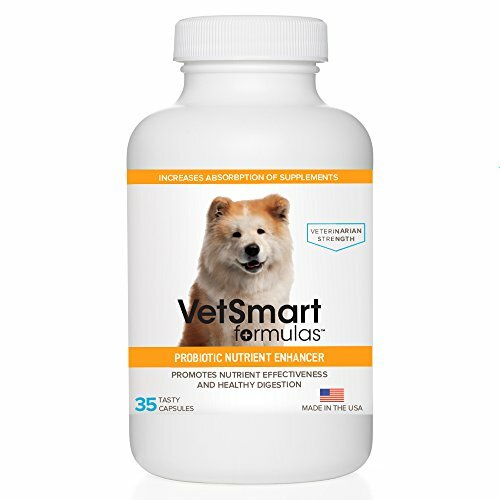 This powerful probiotic, designed for specifically for dogs, provides the good bacteria needed for a healthy gut. When used with the joint supplement as part of your treatment for dog arthritis, this combination works together to maximize nutrient absorption so the cells of your pet’s entire body remain happy and healthy. One of the best probiotics on the market with 15 Billion active cultures! Compare to all the others and see for yourself! Promotes cellular absorption of the joint supplement for more effective results. Provides good bacteria needed for a healthy gut. Restores nutritional balance blocked by food additives. Re-stabilizes an unhealthy gut by replacing fundamental acids needed for digestion. Attacks inflammation from commercial dog foods, medications and other sources.